Oliver Rampley created a guiding service focused on Florence’s Arno river in 2013. This business expanded to offer fishing and birdwatching across Tuscany. Altana Europe was founded in 2016 to give equal attention to fishing and birdwatching trips, and create scope for experiences more broadly based on wildlife watching or conservation management. Working with a kaleidoscope of naturalists, ornithologists, gamekeepers and chefs, Oliver has led over 500 trips. Annually, he now leads trips in Italy, Spain, England, Scotland, Norway and Canada. 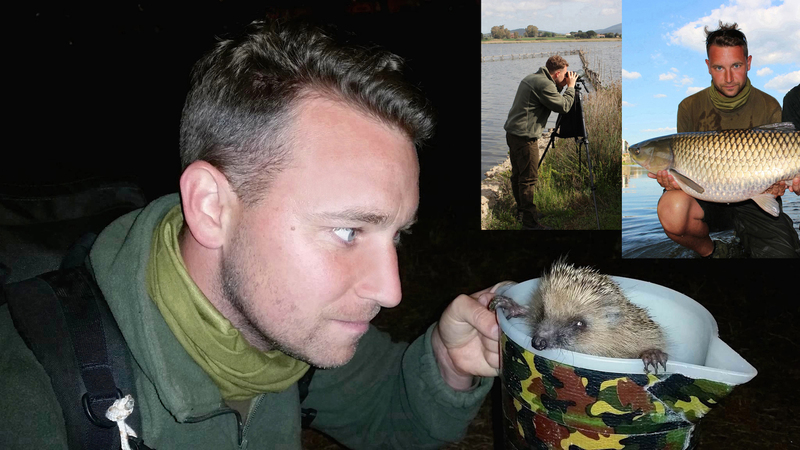 Feature-length articles on Oliver’s work in the field have been published in Financial Times Weekend (2014 and 2018), British GQ, How to Spend It, Country Life, Fieldsports, Country & Townhouse, Shooting Times, FlyFishing and Fly-Tying and Flyfishers' Journal, as well as national Italian newspapers. Oliver has over 20 years diverse fishing experience, gained predominately in England, Italy and Spain, and an in-depth knowledge of the Arno river. He is part of the Sage International Pro Guide Team, and guides in fresh and salt water. Oliver is a committed ornithologist with a special interest in the birds of Florence’s historic gardens and the river Arno. He has an avid interest in the fauna of Italy and Spain, especially migratory songbirds, and has led bird and wildlife watching excursions at sites including the Oasi di Burano wetlands and Monte Argentario peninsula (Tuscany, Italy); the lowland sierras of Cádiz and Ronda; the foothills of Grazalema Natural Park; the wetlands of Doñana National Park (Andalusia, Spain). Oliver has hosted trips focused on observation of specific species, including Ibex and Iberian Lynx. Oliver has written extensively on the behaviour, lifecycle, conservation and management of Wild Boar in Europe (incl. The Field, 2016). His interests in wild boar include: all aspects of their behaviour; the range and separation of subspecies; the behaviour and identification of feral pig hybrids; and the effect of wild boar on the habits and density of ground nesting birds. Oliver believes that controlled, data-led selective culling or trapping of wild boar is an increasingly legitimate method for the protection of biodiversity in ecosystems where natural predators such as wolves and bears are missing. However, he is a strong critic of the negative mythology that surrounds wild boar in Europe, especially as it relates to their assumed aggressive predisposition towards humans. After graduating from Oxford University with degrees in English literature, Oliver walked from St Mark’s Square in Venice to St Peter’s Square in Rome. During this formative adventure, he spent 10 days in Florence and decided – more or less on the seeing the city for the first time from Fiesole – that he would return and live there one day. During the intervening eight years he became Managing Director of a London-based firm providing services to private family offices, and subsequently consulted to service brands including Abercrombie & Kent Luxury Travel and FEADSHIP (the Royal Dutch Shipyard).